I'm overstocked on a few items, so I'm willing to let them go ... cheap! Please contact me if you are interested in any of them. In many cases I have only 1 available, so act fast! Remember, I am an authorized Marklin Digital dealer and can get any catalog item you need. Call me! The following HO collection was recently purchased and is posted as of 10/14/2006. 4415.86713 DB Krov/Mosel "Wein und Erholungsort"
87 USA 4 1987 Märklin Club car "Mount Rushmore"
The following "Z" collection was recently purchased and is posted as of 10/14/2006. 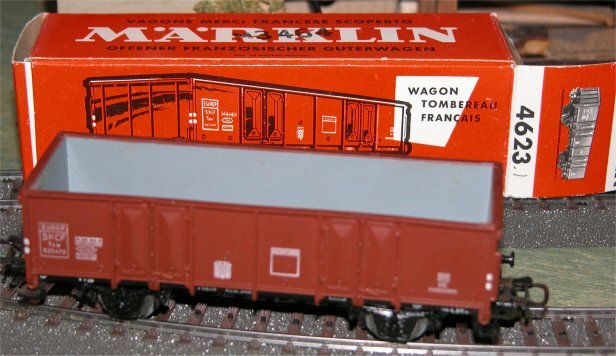 87 USA Z 1987 Märklin Club car "Mount Rushmore"
Unless noted, the following items are all in "New" condition. All items come with original box, instructions, papers, etc. for operating properly, if correctly maintained. 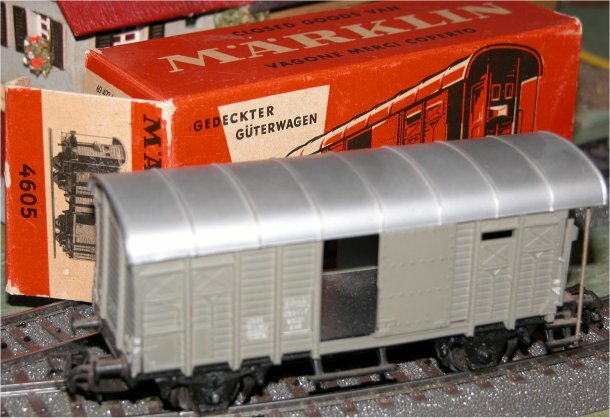 Yes, this is an actual Marklin production model and can be found in Koll's Special catalog! 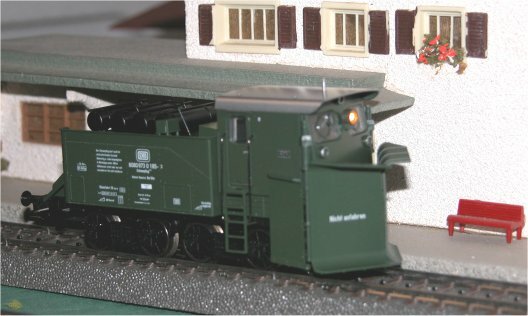 It's a 3442, class 212 electric locomotive, and has had it's sides cut away to show you what the inside of a "working" (Marklin) locomotive looks like. I think it's cool -- but I'll admit it's not everyone's cup of tea. It comes complete with a c80 (80 address) full-digital Marklin decoder, and it's brand new. Only: $139. 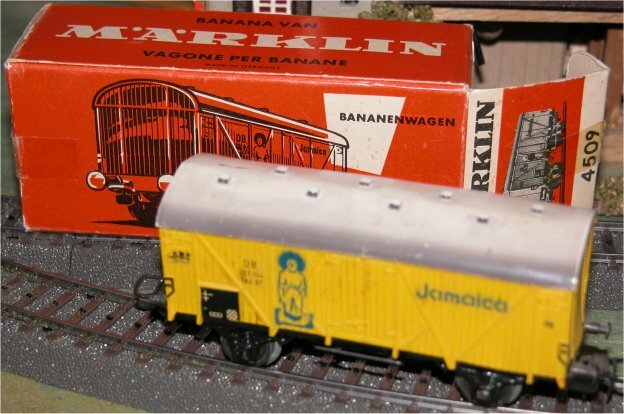 4509 Banana wagon. Car body is slightly warped, but perfectly usable; roof is dirty with one small scratch. Car fame is in mint condition. Box has dealer sticker at one end and small pieces of tape at each end. 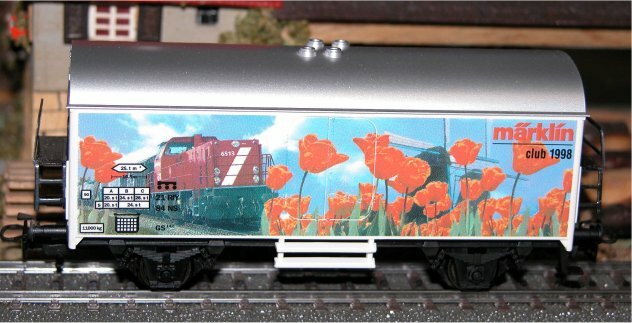 4600 Goods train baggage car. Car is absolutely perfect; sliding doors work fine. Box is in average condition with a small tear on one end flap. 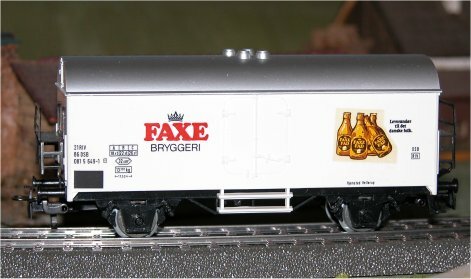 4605 Goods wagon with brakeman's cab. Rare Swiss (gray) version. Roof is dirty, but will most likely clean up with a little work. Box is missing one end flap. 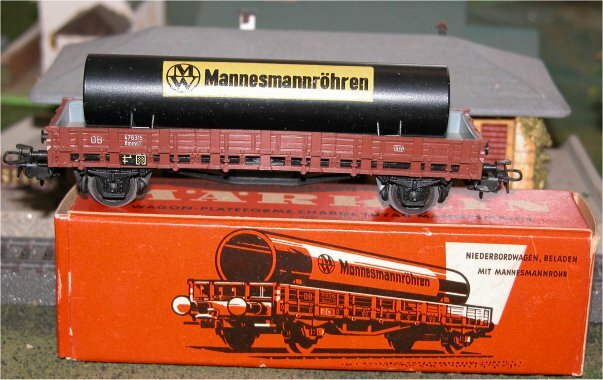 4616 Medium length 2-axle flat car with "Mannesmann" pipe load. Car is in perfect condition -- no warping; pipe is perfect with NO scratches (difficult to find in this condition). Box is in great shape except it is missing one inner flap at one end. run like they're brand new -- and I warrant their performance for one year. 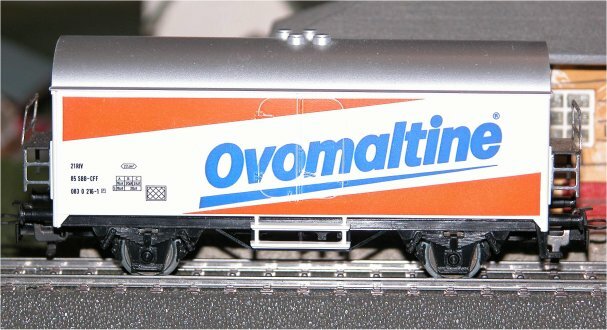 8802 Track Cleaning Car Length: 62 mm (2-1/2"). Two of the three axles on the track cleaning car are powered. The wheels of the rear and front axle ar grooved. The cleaning wheels on the front axle turn faster than the wheels on the inner and rear axles, causing dirt to be thrown off of the track. 8892 K.Bay.Sts.E. 4-6-2 Express Locomotive w/Tender Royal Bavarian State Railroad class S3/6. Length: 106 mm (4-1/8"). 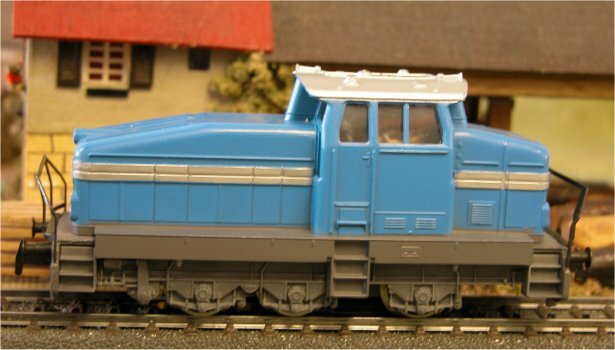 8101 DB Commuter Train Set Contents: 1 class 111 electric locomotive, 1 1st/2nd class commuter car, 1 2nd class commuter car, 1 2nd class commuter car with cab control. 8102 K.Bay.Sts.E. 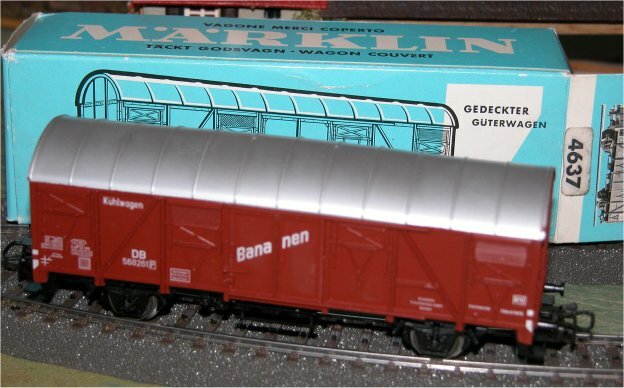 (Bavarian) Passenger Train Set Contents: 1 S3/6 4-6-2 Steam Locomotive w/Tender, 2 3rd class passenger coaches, 1 baggage car. 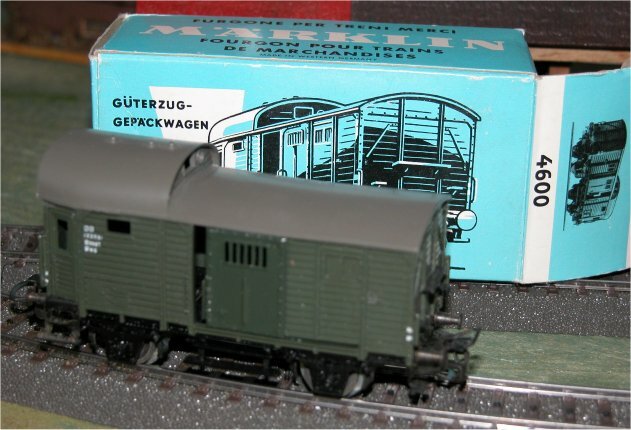 8104 Prussian State Railroad Passenger Train Set Contents: 1 class T12 tank locomotive, 1 baggage car and 1 each 2nd class, 2nd/3rd class, 3rd and 4th class compartment cars. Length: 360 mm (14-3/16"). At the beginning of the 20th century the typical Prussian passenger train consisted of 3-axle compartment cars. The 4 classes of cars were designated by Roman numberals and were further differentiated from each other by different exterior paint schemes. An advantage of the compartment cars was the ability to get on and off a train quickly. 8105 Frankfurt "Airport Express" Passenger Train Set Contents: 1 class 111 electric locomotive with a new road number and single-arm pantogarphs, 1 1st/2nd class commuter car, 2 2nd class commuter cars. Length: 452 mm (18-1/4"). With the "airport Train", the German Federal Railroad offers a direct connection between Ludwigshafen and the Frakfurt/M airport. The train makes three round trips daily and has stops at Mannheim, Weinheim, Heppenheim, Bensheim and Darmstadt. The train is characterized by its special livery. 8191 "Z" Track Extension Set "E"
8193 "Z" Track Extension Set "T2"